Call us or get in touch using this form and we’ll happily assist you with every detail – big and small – to make sure your next yachting vacation is planned perfectly and runs smoothly. 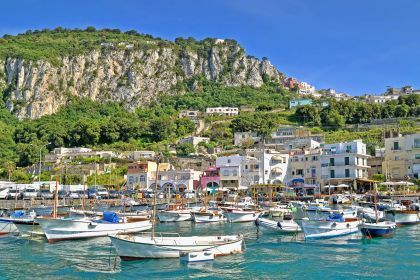 Climb aboard your luxury yacht and within a few hours you’ll find yourself approaching the idyllic island of Capri. 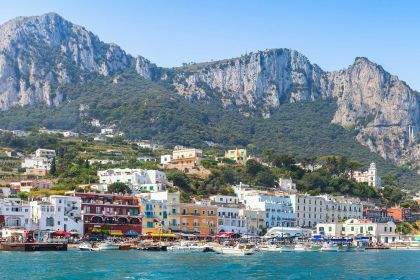 We know that Italy is famous for its fine cuisine, but Capri is one of the star attractions. Think fresh seafood dishes, tantalising ice-cream and meringue desserts, aromatic Italian coffee, exotic buffalo mozzarella, peregrine artichokes, enticing marron glacé (a confection originating in southern France and northern Italy consisting of a chestnut candied in sugar syrup and glazed), and many other delicious dishes. Dine at La Capannina and you may just bump into Julia Roberts, Uma Thurman or Sylvester Stallone. Or visit Aurora, a favourite of Mariah Carey and Rod Stewart. Villa Verdi? Anyone who’s anyone has been spotted here at some time of other. 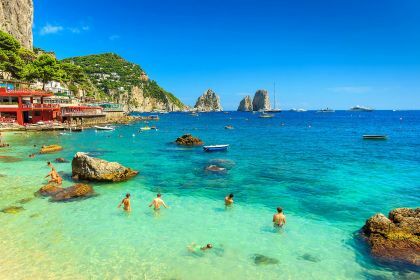 In fact, if you are out and about in Capri in the early evening, it’s celebrity-spotting time. 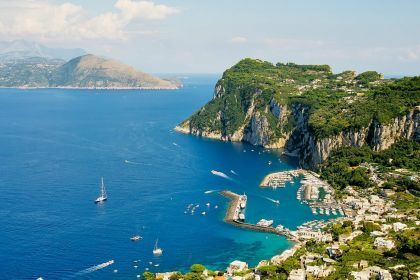 From the deck of your luxury yacht, you’ll have a bird’s-eye view of Capri’s famous sea giants, the faraglioni. These magnificent rock formations or stacks dramatically rise out of the sea. One of them, Faraglione di Mezzo, has a cavity in its centre, which can accommodate a small boat. Faraglioni are also a wonderful lure for scuba divers as the rocks shelter a variety of Mediterranean fish species. You can swim among with and admire groupers, colourful flabelline, moray eels and lobsters. 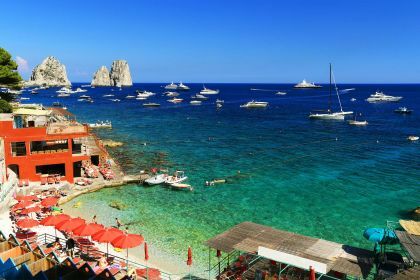 Call us or get in touch using this form and we’ll happily assist you with every detail – big and small – to make sure your next yachting vacation in Capri is planned perfectly and runs smoothly.